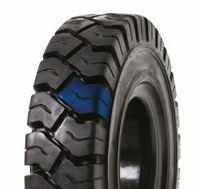 Simply the best in-class premium forklift truck tyre in the industry. Innovative tread design, for traction and stability. Sets the industry standard for premium CPH return in high use distribution, logistics, warehousing and transport operations.